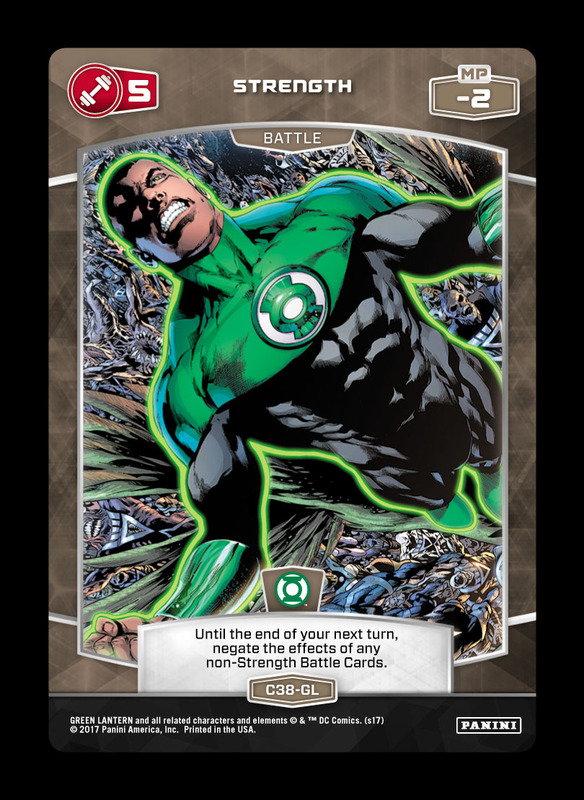 Four for Friday: November Notations! 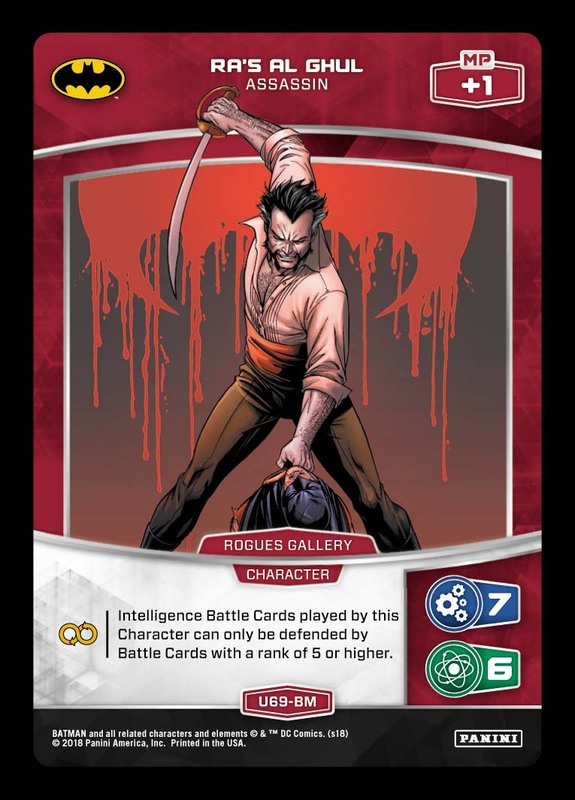 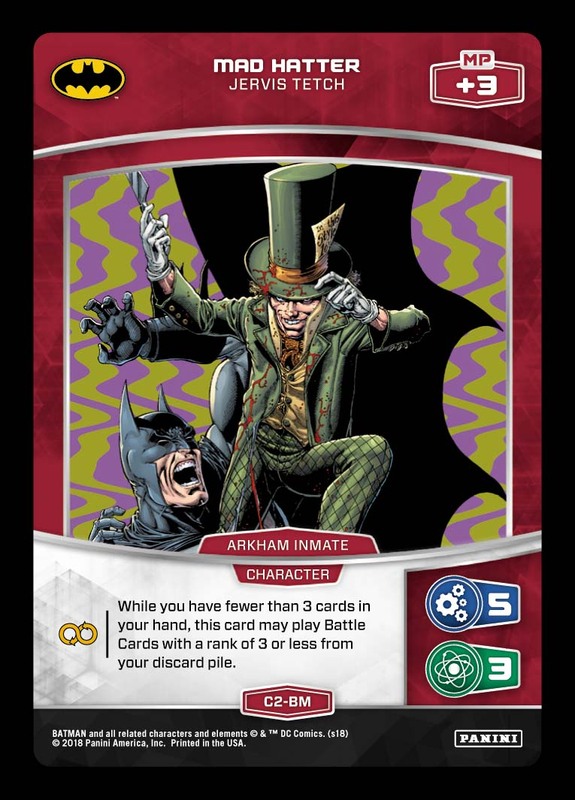 See below for a look at some Traitless deck shells, new teasers from the next set, and more! 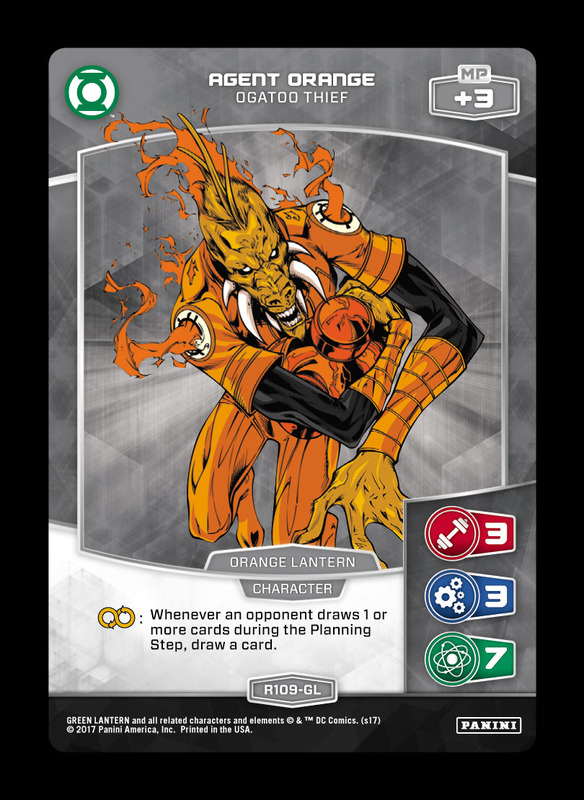 Agent Orange – Ogatoo Thief can fill two roles: a card advantage engine in a deck that forces your opponent to draw cards (usually Orange Lantern based), or as a tech card that can be included in any build that wants to exploit opposing draw power. 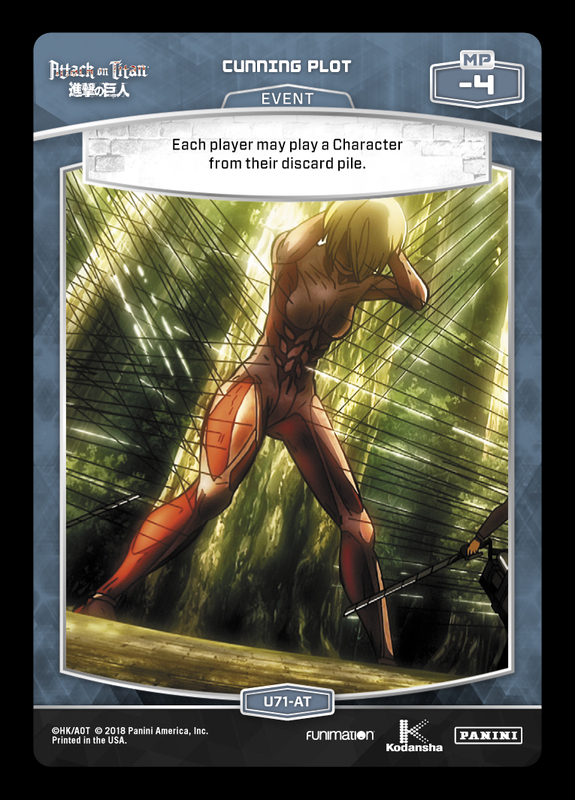 This double-edged effect is too risky to hit the table against dedicated mill decks, but you’re unlikely to be lacking Character drops in that matchup. 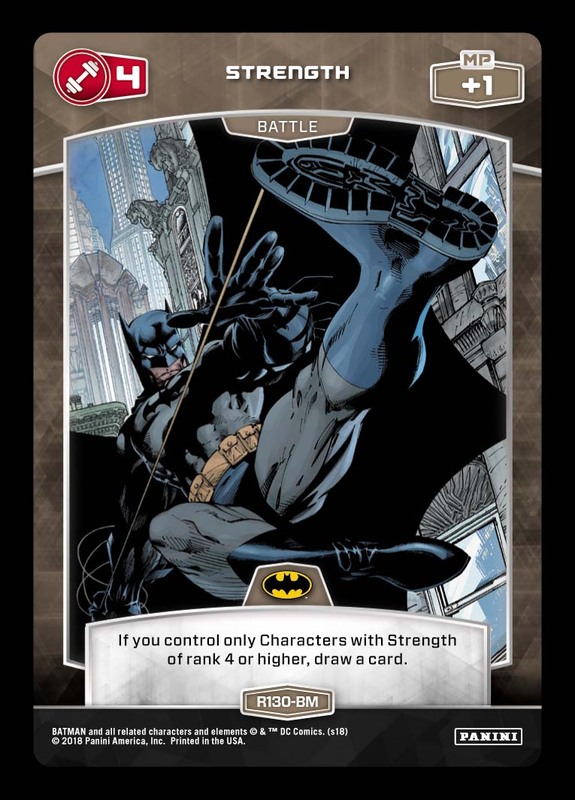 In other contests, his effect is usually relevant to some degree – and his huge Stats/MP are simply gravy! 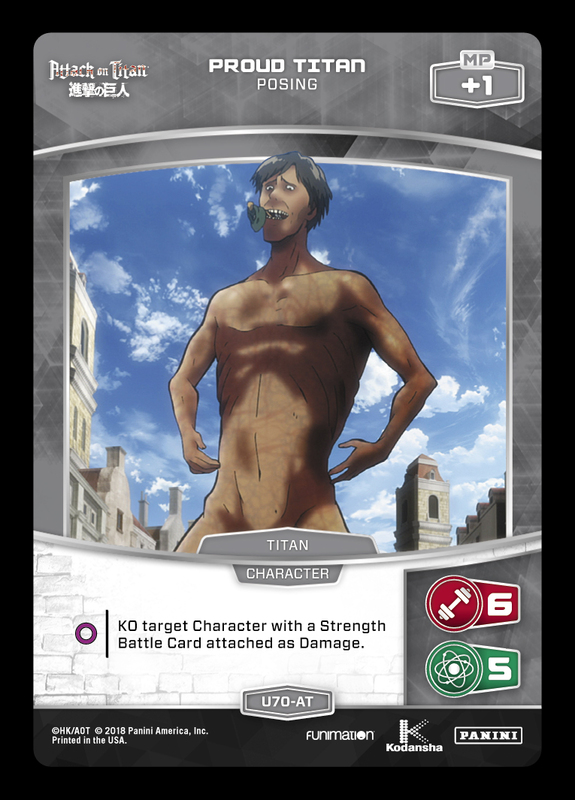 The shipping team will be out of office for the week of Thanksgiving – please make sure to submit any Tournament Kit requests before the holiday break. 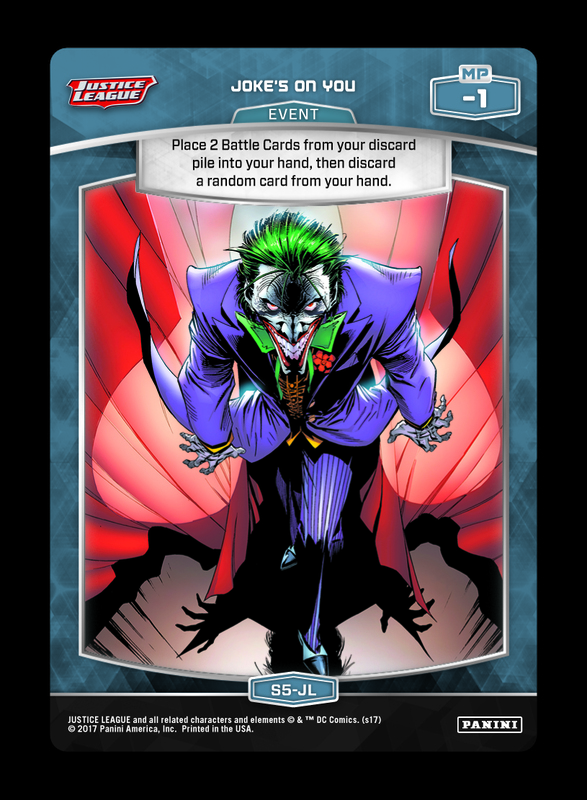 Tournament Kits recently rotated to new promos for November – contact OP@paniniamerica.net for more info. 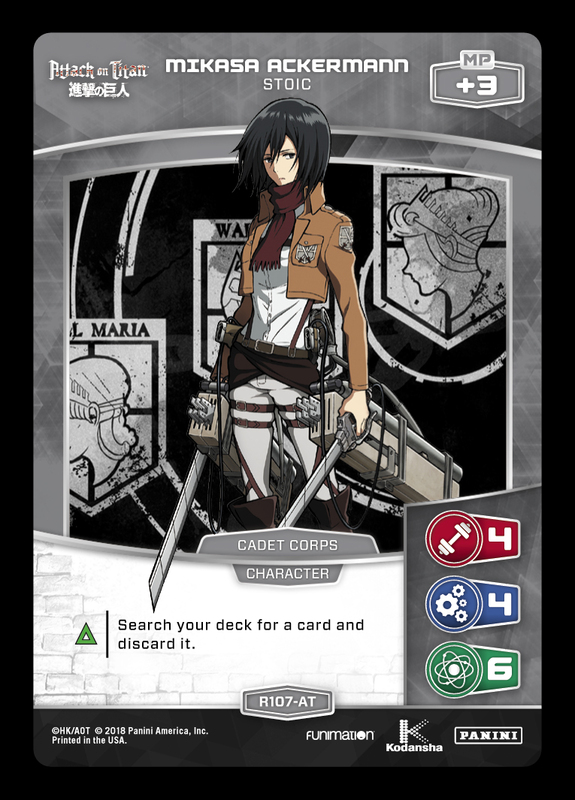 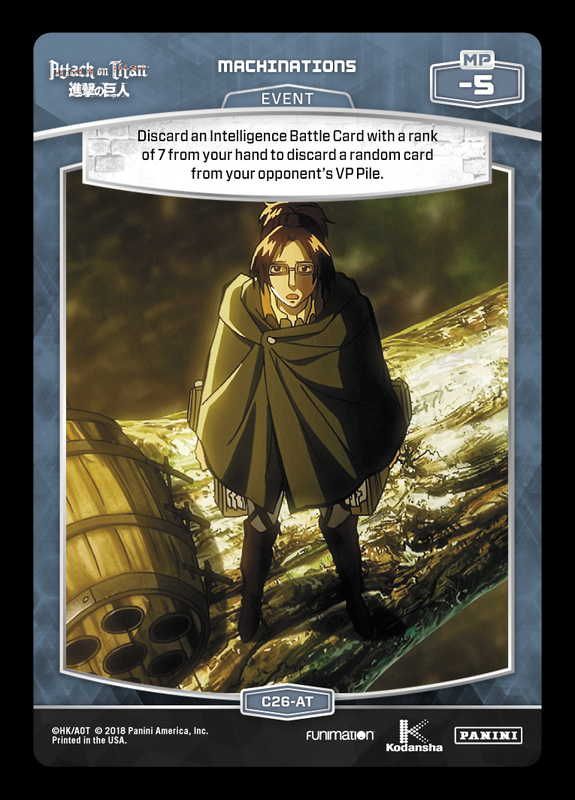 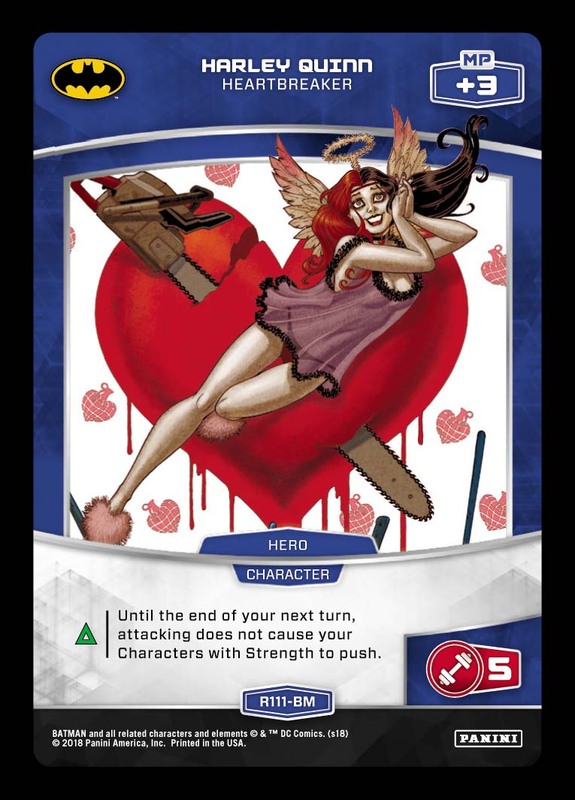 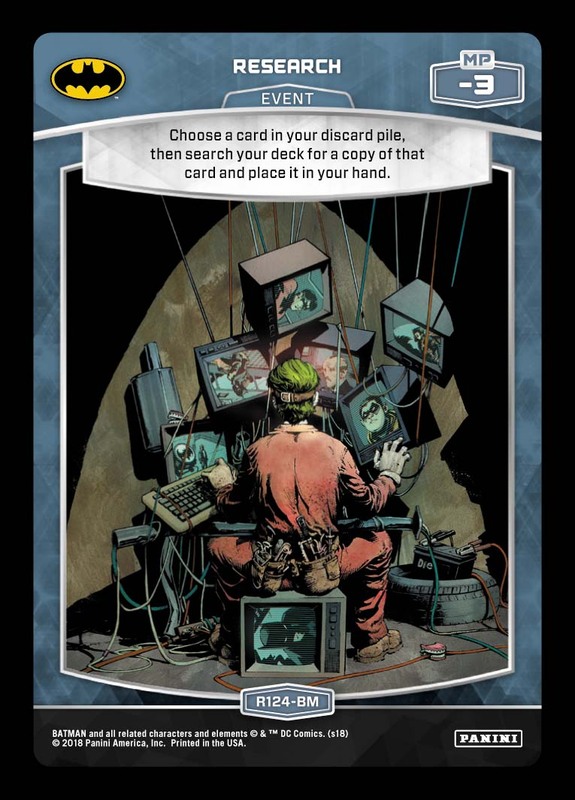 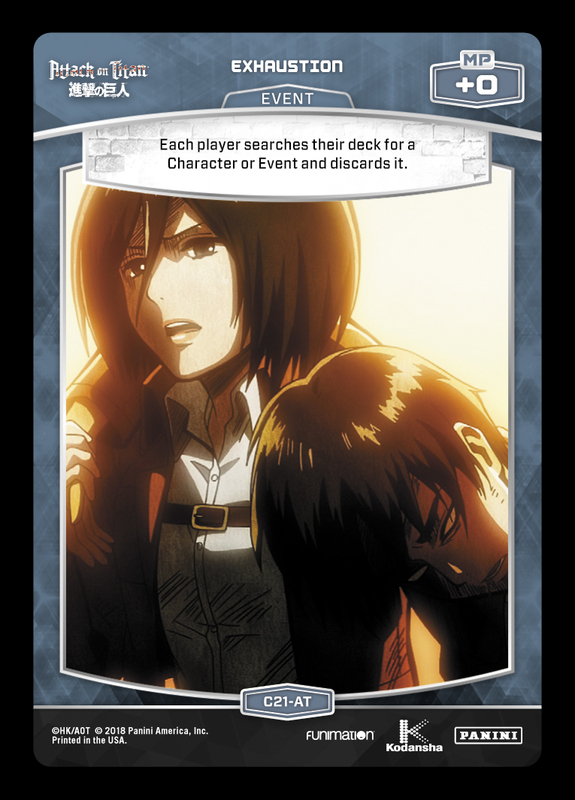 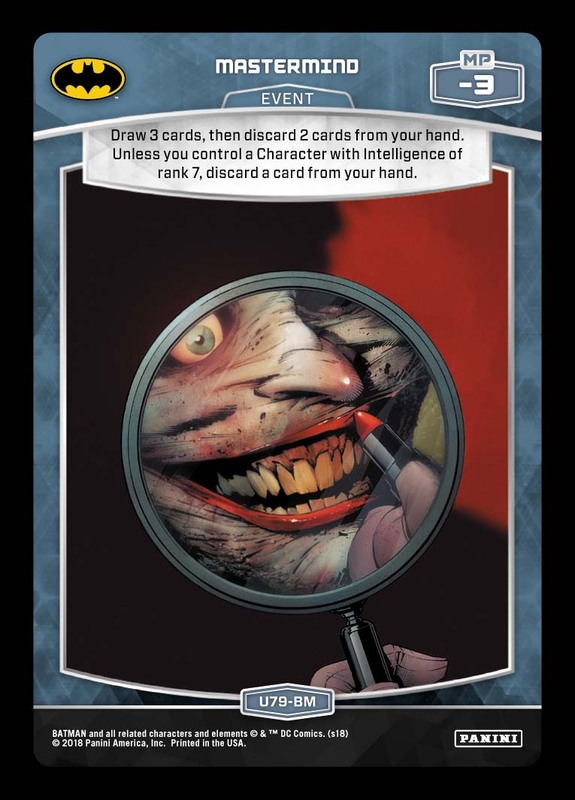 Discard Pile Affinity: this remains the only way in the game to search for anything you want – combining enablers like Mikasa – Stoic and Exhaustion with juice like Cunning Plot, Research, Joke’s On You, Mad Hatter, etc. 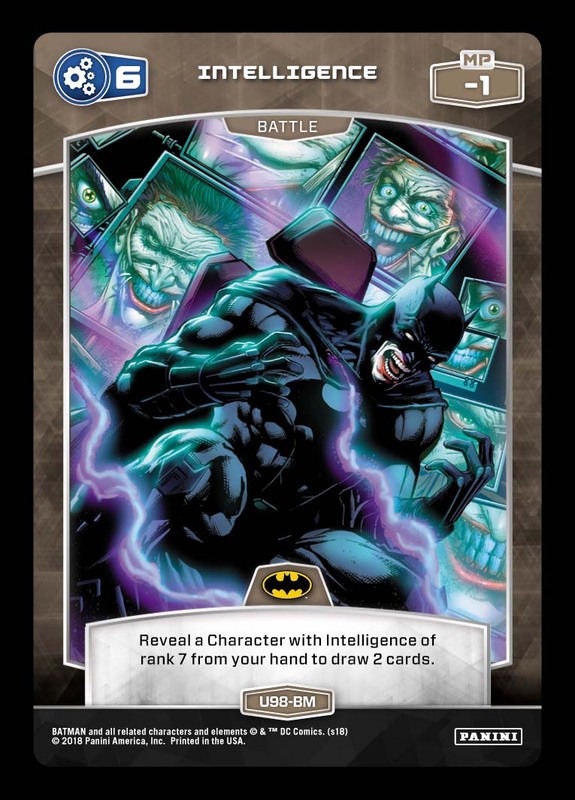 As sub-themes are not tied to any one Trait, they all have room to expand in the future. 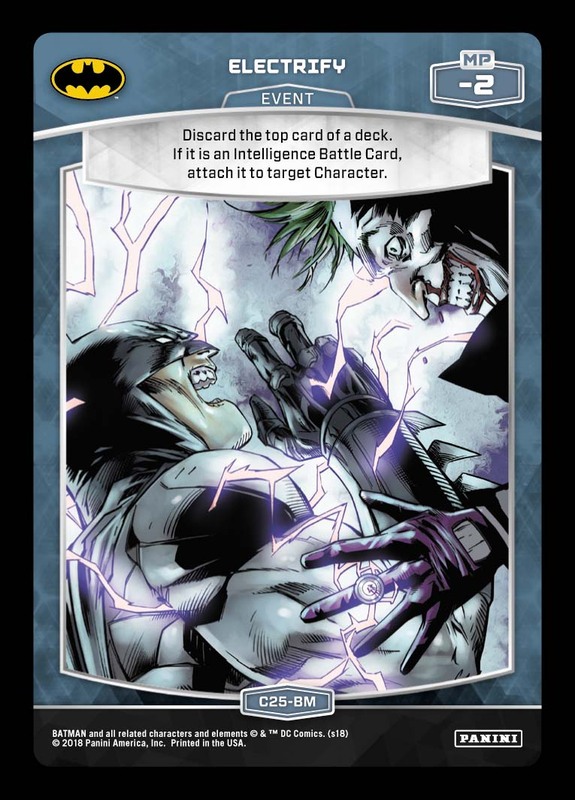 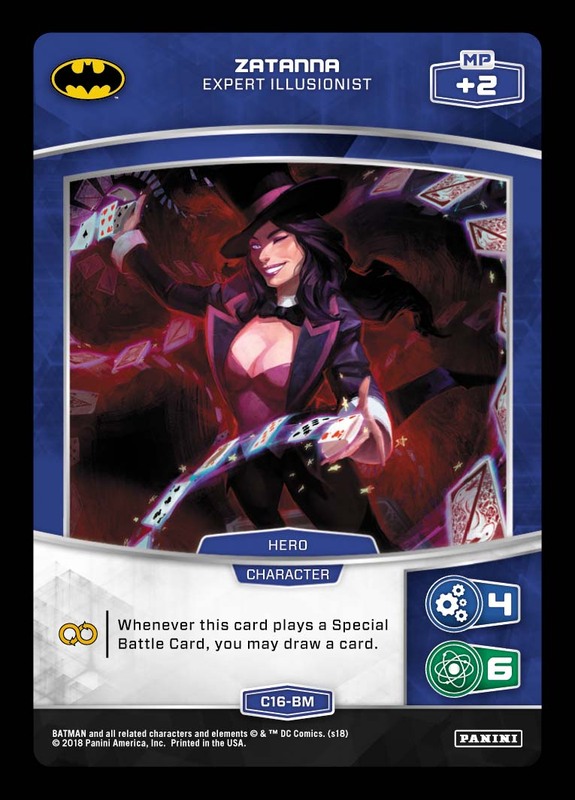 There are countless seeds already planted too (for example, watch for “Mono Special” decks begin popping up based around Zatanna – Expert Illusionist as the card pool grows)!